Europe needs serious reform if it is to avoid being turned into a mere museum for rich Chinese tourists. But it is clearly possible to be both European and succeed in the global economy, writes MEP Gunnar Hökmark. Swedish Moderate Party MEP Gunnar Hökmark (EPP) is a member of the Committee on Econmic and Monetary affairs in the European Parliament. “We all know what to do, we just don’t know how to get re-elected after we’ve done it.” That is how Jean-Claude Juncker, then prime minister of Luxembourg and now president of the European Commission, summed up a now classic problem that most European political leaders are said to be faced with. In order to defend prosperity and social security, Europe is in need of serious structural reform of its economy, of its markets for products and labour as well as of the welfare systems. This is the real social dimension, bringing Europe together in structural cohesion and growth. But since voters do not want these changes, it is argued, Europe is doomed to fall behind in the global economy. As some of the most pessimistic voices express it: slowly but surely we are turning ourselves into a museum for rich Chinese tourists. In reality, we all know what it means. Deficits emptying the opportunities for social welfare. Increased debt and decreased opportunities to finance social security. Lesser jobs and higher unemployment. And when there is no more money to borrow, austerity because of previous irresponsible spending. But we are not doomed to fall behind in the global economy. Nothing is further away from the truth. But that is only true if we believe spending and regulations instead of growth, prosperity, stability and jobs shape the social dimension. Europe contains some of the most competitive countries in the world, economies that are thriving with rising living standards and full employment. It is evidently and clearly possible to be European and to be successful in the global economy. Furthermore, in country after country in our continent, serious reforms have transformed sclerotic economies and dysfunctional labour markets. And voters have embraced changes that deliver growth and jobs. New French President Emmanuel Macron is the latest case in point. True, Macron still has to prove that he can reform and is able to lay the ground for competitiveness, growth and social development by prosperity. But the new president is welcome as a counterforce to the wave of anti-globalisation populism to the left and to the right that has swept over the West these last few years. 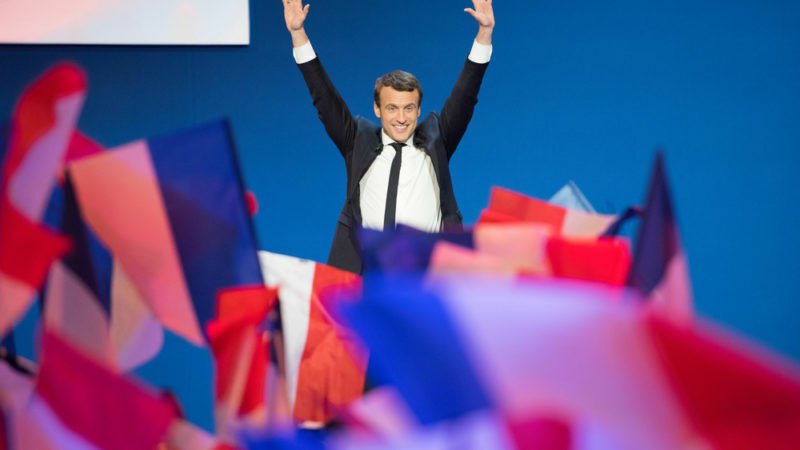 But more importantly, he is elected on the promise to serious structural change in France. He wants to cut the budget deficit, reduce the number of state employees by 120,000, cut corporate tax rates, reduce the payroll tax, make unemployment benefits conditional and perhaps most importantly, he wants to simplify the dysfunctional French labour code. Macron aims to make hiring and firing easier and to move collective bargaining on wages and working time from the industry to the company level, as well as placing a cap on severance packages awarded by industrial tribunals. These reforms go to the heart of what many see as the French social model. Despite such a controversial programme, Macron won the presidential election by a landslide, taking home 66.1% of the votes. His party has won a large majority in recent legislative elections too. Without reforms Europe risks fading away but with decisiveness and courage we can regain the spirit and strength that once made Europe into the leading economy we still are. lets not forget that the costs of forced immigration forces European birthrates down because people delay, or forgo, staring a family because of lack of money. Money means nothing if you don’t exist.